Two Penny Hardaway themed colorways of the Nike Air Force 1 are now available. 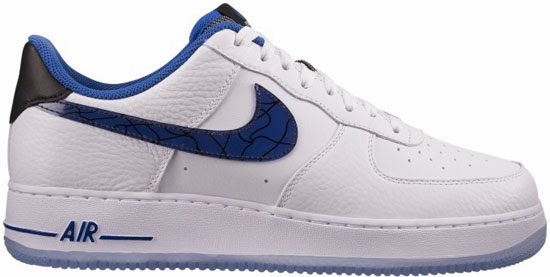 These two new Nike Air Force 1 Low's were made to commemorate Penny Hardaway. Both pairs come in Orlando Magic themed colorways. The first pair is a CMFT edition and comes in black and varsity royal. Featuring a black based nubuck upper with a white Foamposite side panel and royal blue jewel Swoosh. The stitching around the back heel an around the laces along with the tongue are elements from the classic, Nike Air Max Penny I. An icy translucent outsole with a big Swoosh logo on the bottom finishes this pair off. The second pair is an '07 edition an comes in white, varsity royal and black. 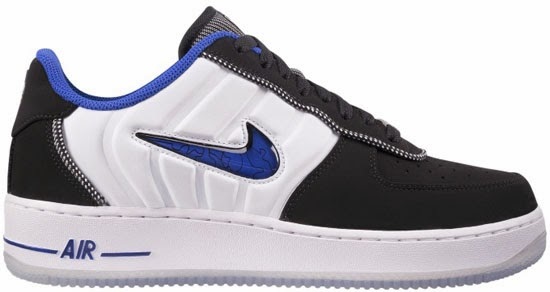 Featuring a white based leather upper with a patent leather Swoosh on the sides with the design inside it along with the tongue both from the Nike Air Max Penny I. The "1 Cent" logo is found on the back heel tab as well as on the bottom of the icy blue translucent outsole. Both pairs were a limited release on Saturday, December 28th, 2013 and are available now at select Nike accounts worldwide. The Nike Air Force 1 Low CMFT "Penny" retails for $150 while the Nike Air Force 1 Low '07 "Penny" is priced at $100. 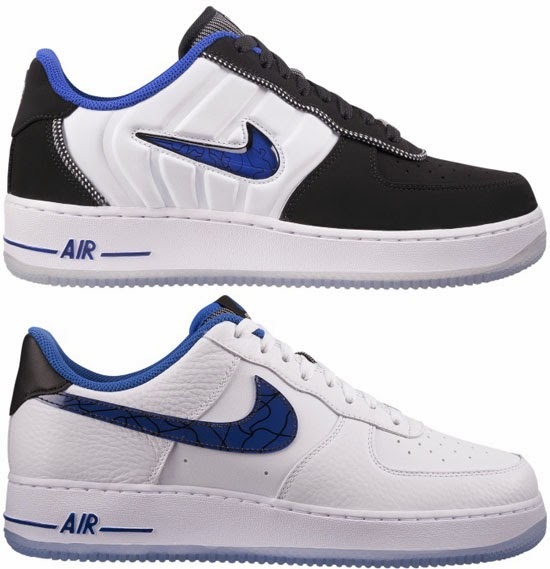 Enjoy the official images below of the "Penny Hardaway" Nike Air Force 1 Low CMFT in black and varsity royal as well as the Nike Air Force 1 Low '07 in white, varsity royal and black. If you're interested in picking either of these up, check in with your local spots to see if they received them. Those of you looking for a pair now can, grab them from eBay here.